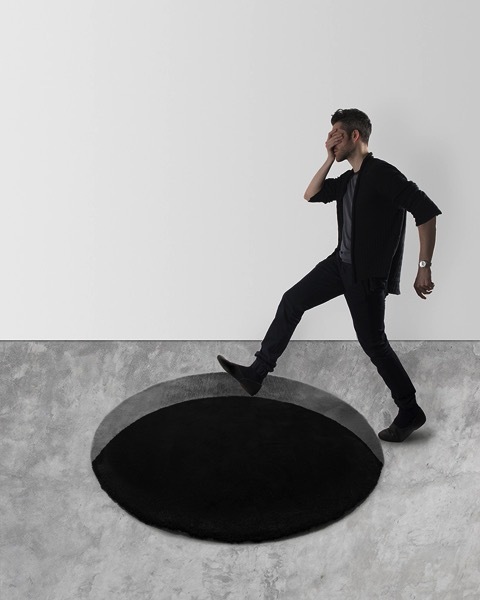 Void Rug Creates the Illusion of a Gaping Black Hole « Adafruit Industries – Makers, hackers, artists, designers and engineers! Great concept and execution from UK designer Scott Jarvie! the rug is a simple geometric pattern, however, when viewed from a particular aspect it becomes a perilous void in the floor. it is a postmodern concept rendered with a modernist palette. the stark simplicity of the aesthetic is in distinct contrast to a number of jarvie’s recent designs. the piece aspire to be more than an utilitarian item, exhibiting elements of the surreal or the otherworldly, the fabric of dreams rather than daily life.